According to Vibe, Oprah Winfrey and the OWN Network will premiere new docu-series, Black Love. Created by married couple and filmmakers Tommy and Codie Oliver, the duo interviewed several African-American couples—some in Hollywood some not–about how they met and how they keep it together. The show, which will premiere Aug. 29 examines the intricacies and delicacies of love from black couples. Some couples have been together for eight, 10 and even 17 years while other couples are still in the newlywed phase. The extended clip opens with Academy-Award winner Viola Davis speaking candidly about how nervous she was when she first met her husband, but then being flattered by his zeal. With interviews from Tia and Cory Hardwick, Meagan Good and DeVon Franklin as well as Flex and Shanice who have been married 17 years, these couples get real about what makes their relationship work. Check out the extended trailer below. And if you are in the LA on the premiere date RSVP today for an exclusive first look at #OWN Network's new series, #BLACKLOVE! Happening August 29th, 2017 at 7pm. This Clips & Conversation based event is hosted by #HollywoodConfidential's brand new screening series. 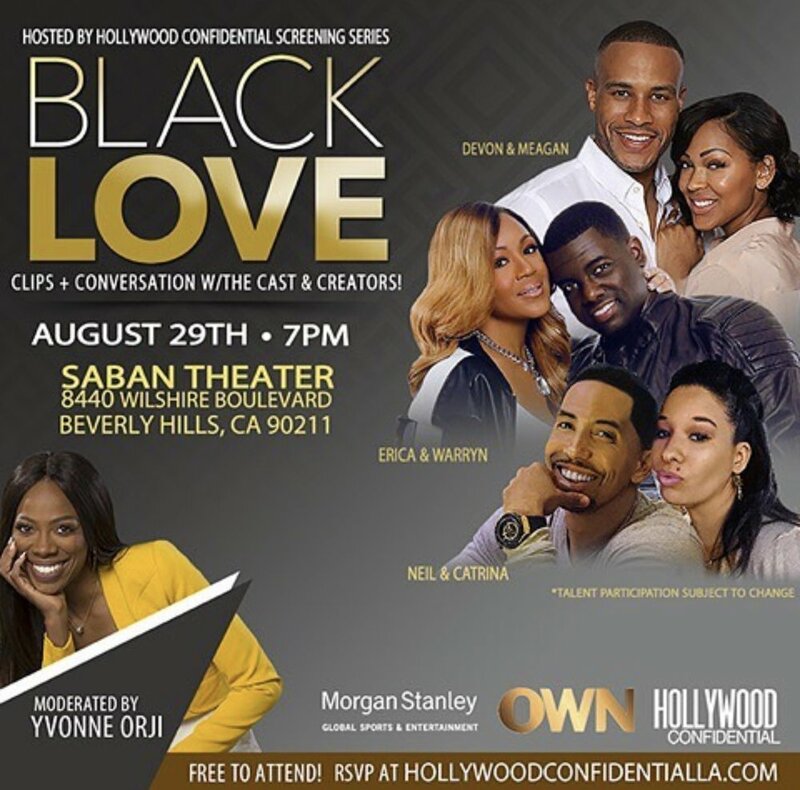 And will feature select cast members from #BlackLoveDoc and the show creators!